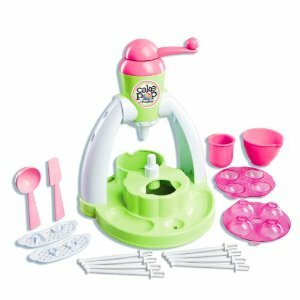 Flip Out Mama: Cool Baker Cake Pop Maker Review! I don't have very many chances to try out cool girl toys these days.. My reviews consist mostly of guns and cars and blocks. It's kind of sad really I could I am a girl, darn it! 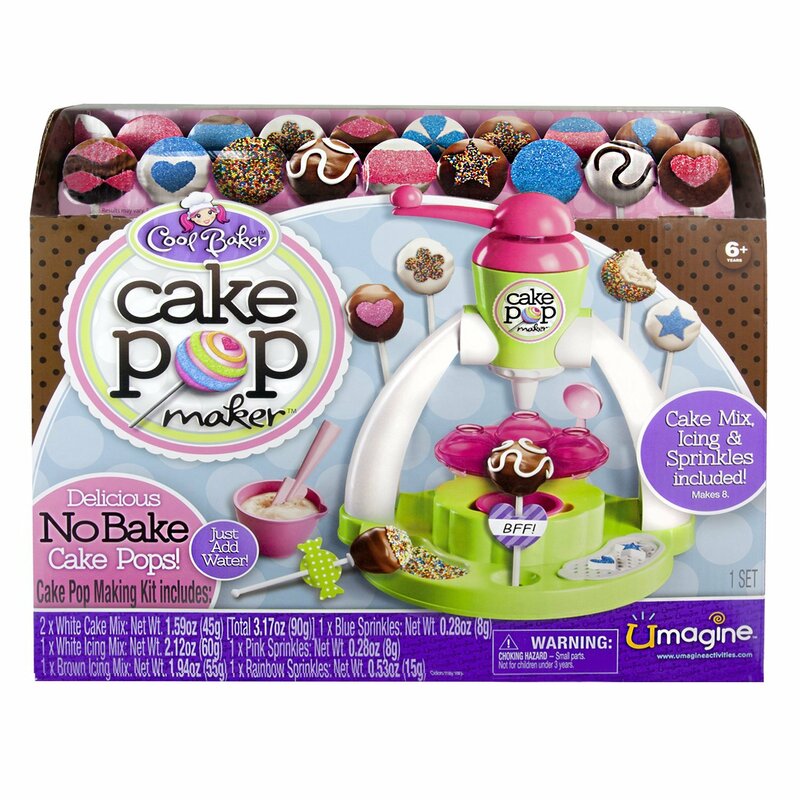 So, when Spinmaster asked us to review their Cool Baker Cake Pop Maker, I grabbed my neices, and we went to town! The Cool Baker Cake Pop makers is a toy that I would have LOVE to have had when I was a kid. The closest thing I had was an Easy Bake, and my parents HATED for me to use that thing! They would have much rather me have something like this when I was a kid. That's because the Cool Baker Cake Pop Maker doesn't require cooking, you only have to add water! As a mom, I love the fact that there is no baking required! This is such a cute product, my neices absolutely loved it! You can make eight cake pops right from the start, and there are two different kinds of icing and three different kinds of sprinkles to customize your cake pops however you want! This is a great gift, especially for younger kids, since there is no baking involved and it's not dangerous! All you have to do is put the cake pops in the fridge for 15 minutes, and then they are ready to decorate! This is a really cool toy, especially if you have a future baker or cake decorator on your hands! My nieces loved the decorating part more than anything! We are going to be buying some refill kits in the next few days so we will have something fun to work on over the Christmas break! :) If you have a cooking fan on your hands, you gotta get them this toy! To buy, click here! Don't forget to join Spinmaster on Facebook and Twitter too! We just got one and tried it out on Christmas Day. While it is adorable to look at at first, it is an absolute mess even when closely following the directions and it tastes awful. The batter doesn't make smooth balls/pops, the sticks don't stay secure...even when I tried it many different ways (yes, we did all we could so our daughter didn't get upset. She had been so excited...was even singing the Cake Pop jingle). When we went to taste our weird looking pops (and we are artists...so you wouldn't believe that we could create something that wasn't gorgeous) our daughter took a bite and asked "Is this OK to eat? "...because she thought it didn't taste like real food. We are utterly disappointed and now wonder how to make some other batter to make this product, that, again, is adorable and a great idea really work. Such a shame...such a good idea with a disgusting tasting product that doesn't come out looking good at all. My daughter loves this toy but the batter is expensive. 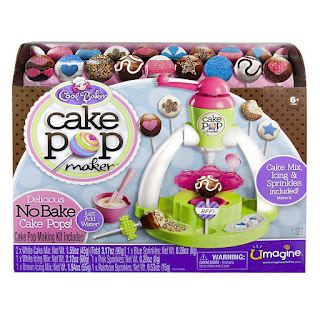 I just found an idea online on how to make your own batter for this toy...use cupcakes and mush them up in a bowl and follow the Cake Pop maker directions. It will make a batter that is already cooked and the frosting from the cupcake will keep it together. I bet it tastes better, too! I'm definitely going to try it instead of buying more batter to get 3 pops!